You’ll notice this is 0.6kg less total malts than version 1, the reason being that the original Brewers Gold is a 4% session ale and my version was a little strong at 4.9%. Now I’m not ever one to shirk away from a high ABV beer, but as this is a clone competition it should be as close the real thing as possible in my opinion. I have also changed the yeast, although this was only as I had some S-05 in stock! Also with some luck, and my new more efficient mash schedule, these ingredients should result in an ABV of 4.06%… close enough for me! 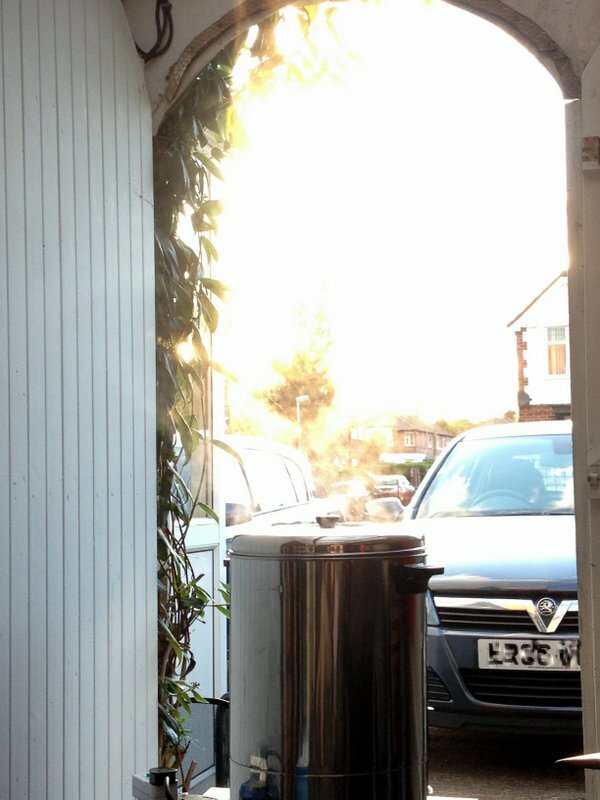 There are only a couple of photos from this brewday… I have to admit I was distracted by the first warm sunny day in 2013 and spent most of the down time sat on the driveway reading a good (brewing) book and not documenting the brewday! Also note the lid is on the boiler. I have spent a lot of time reading conflicting reports on how this is potentially bad for your ale. The closed system means some unwanted by-products are not able to escape in the steam produced by the boil but instead condense on the boiler lid and drop back in to the wort. As this seems to only be a real problem noticeable at large scale, or when specifically using Pilsner or 6-row malts, I opted for the lid on approach. The boil completed without incident and the wort was transferred to the fermenter. The OG was 1.042, just 0.001 away from the target 1.041. 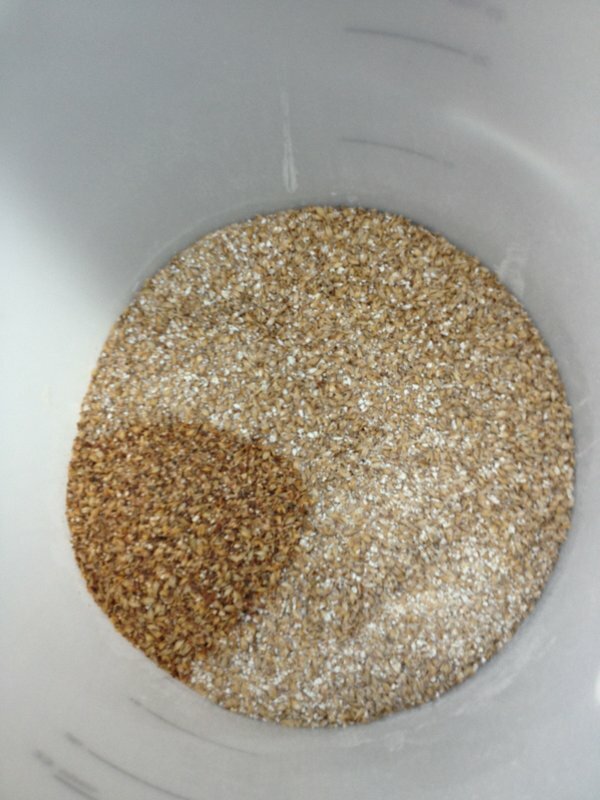 Now if the yeast behaved as it should the FG should be 1.010 and the final beer c. 4.2% ABV. A little higher than planed, but close enough! The brewday efficiency worked out at 77% instead of the 75% I had based my calculations on and I will have to factor this higher efficiency into my future recipes! As a bonus, (because it’s been so long since I posted last) the beer has had chance to fully ferment (FG: 1.010) and has been bottled and is now happily conditioning in the warmth under the stairs. Competition day was also pushed back to July 28th, leaving plenty of time to be ready for the test! I will update the result here afterwards of course!